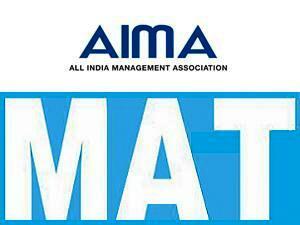 All India Management Association (AIMA) is going to declare the final results of MAT Exam Sept 2015 which was conducted this month on 6 Sept and 12 Sept at various exam centers allotted across the country. MAT Sept 2015 Result will be available on the official website of AIMA www.aima.in and we will also provide the direct link to view your exam result online. There were two test conducted – Paper based test was conducted on 6th Sept and computer based test was conducted on 12th Sept, 2015. All the candidates who had appeared in this exam can check their score card and marks using the following mentioned links. How To Check AIMA MAT Results 2015-16 Online at www.aima.in? If you are looking for the direct link to check your MAT Result 2015 then here we are sharing step by step procedure to find your exam result online at www.aima.in website. First of all open the management association website www.aima.in Then you will find Education Services ->Examinations -> Results. If you are unable to find that link then you can use the following direct result link. Click on the following link and enter your Roll number, form number and Month of test as Sept 2015 then click on the submit button to view your Management Aptitude Test (MAT Sept 2015) Result, download your mark sheet / score card and cut-off marks for future reference.